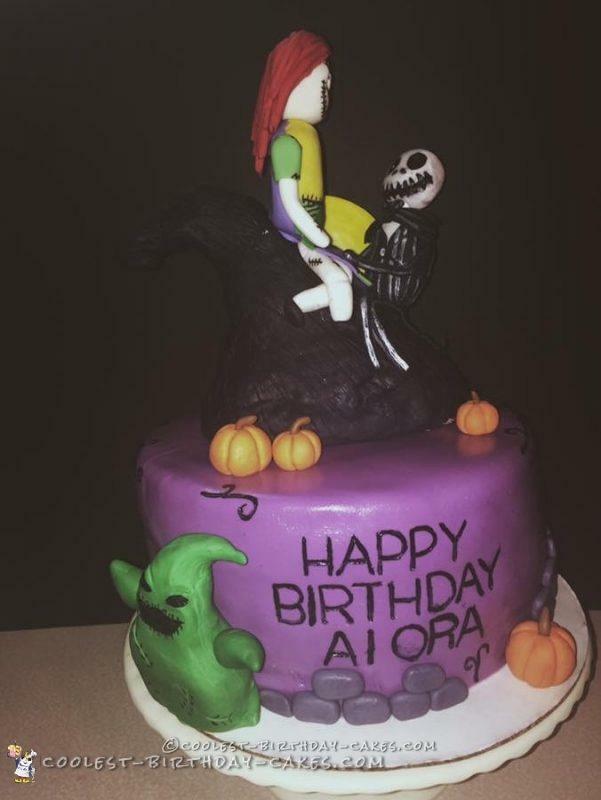 Inspired by the movie, here’s my The Nightmare Before Christmas cake. The characters were made first because they have to harden! They’re made by sculpting gum paste and modeling chocolate. Totally edible! Their characteristics are hand painted with edible markers. I added their clothes when they dried from fondant. The piece they are sitting on is edible as well, from rice crispies! 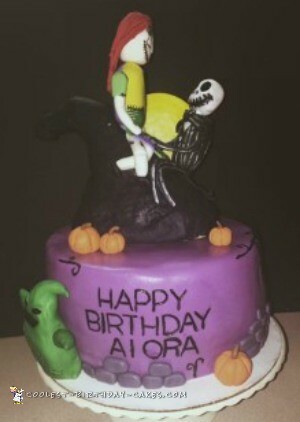 The back of the cake has all hand painted swirls on it as well as some of the side. The topper is something you can keep for a while or eat, which is awesome! This cake was done All by hand no stencils used! The hardest part for me was sculpting the toppers, I’ve never done characters before so it was a first for me, but I love doing hand painting so I had a blast with it! I love the challenging ones the most, they keep me on my toes!